Media Size: 8.88" x 11"
One-subject notebook features 80 sheets of 16 lb. paper. 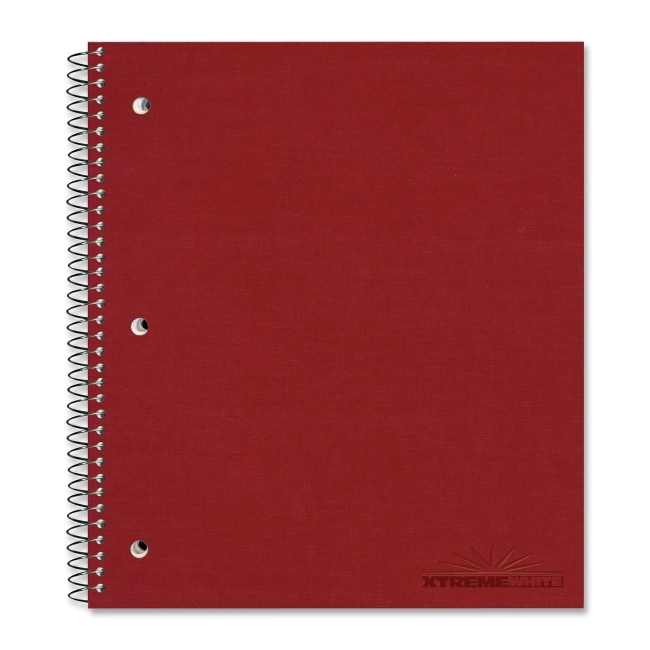 Each sheet is college-ruled with a margin, microperforated and three-hole punched to fit inside standard-size binders. Coilock wire binding on the side will not snag clothing or uncoil. Pressboard cover protects the sheets inside.